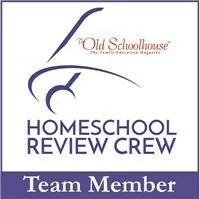 My name is Brandy and I am a very happy former middle school teacher turned homeschool mom! I live on the East Coast of Florida with my husband (a firefighter) and two very active boys (one high schooler, and one middle schooler). We enjoy the beach, the pool and just being outdoors in general. We love the Lord and are very thankful for this life He has given us. It is sometimes crazy, but even in those moments, I wouldn’t change a thing. I love to cook and I frequently blog about recipes, homeschooling, and life in general. I also write reviews for the Schoolhouse Review Crew!